If you are looking for the best?GPT sites 2017, here is the ultimate list! These websites are very similar to Coin Tasker except they payout in cash or prizes like gift cards. Most of best GPT sites 2017 DO NOT pay in bitcoin, and unlike Coin Tasker most of them are limited to specific countries. Prize Rebel?-?Prize Rebel?is?our top ranked site one our list of the best?GPT sites for 2017, and for good reason! First of all, their payout rates are highly competitive. Secondly, they offer bitcoin as an option for payouts. And lastly they a competitive referral program that absolutely destroys the competition. ?Every time your referrals gain points, you earn an extra 20% based on their earnings with the potential to earn up to 30% with no maximum referral caps! Just top be clear, we didn’t just hand over the #1 spot because of their referral rates, we made sure they were reliable and offered tons of earning opportunities. Payout: (100 Points = $1), Select from rewards such as Paypal, Bank transfer (US Only), Bitcoins and gift cards from hundreds of merchants. Referral Incentive: From 20% to 30% depending on level. Tips: Take the tour to familiarize yourself with this GPT site and earn bonus points. Check out the surveys and Offerwalls section every day to quickly earn points from high paying surveys and offers. Keep up on their?social media pages to receive promo codes and get notified of giveaways. Swagbucks?- Swagbucks is the #2 overall on our list of best GPT sites for 2017 for a number of reasons. It is the most popular and most well-known GPT site going into the new year, and they have tons and tons of offers to keep you busy. While they are very popular and offer similar GPT earning opportunities as Prize Rebel, they don’t support a wide variety of countries and their referral program is much more limited in earnings. Unfortunately, that just happened to be the deal breaker in this case to place them at the?#2 overall GPT site for 2017. Offers: Mobile video apps, Surveys, polls, tasks, special offers, coupons, swagbuckstv, games, searchbar, codes download offers, and shopping incentive that give swagbucks. Payout: (100 swagbucks = $1) A myriad of gift cards including amazon, paypal, walmart, and facebook + Sweepstakes entries. Referral Incentive: Matching Swag Bucks on all their Search wins up to 1,000 Swag Bucks per referral. 300 SB for signing up with a referral(possibly time limited). Tips:?Passive Swagbucks up to 300 SB for meeting your goals for 7,14,21 and 30 days. ?On iOS and android app, go to the garden tab and to a bunch of videos called “10 second tips.” Add these to your favorites and let them play through there while you do something else. ?Visit a site frequently? Bookmark the swagbucks search result and click on it every time you plan to go to that site. ?Targeted surveys sent to your email pay twice as much but take longer to approve. ?Make up to 10 swagbucks easily a day in the games in free play mode. ?Do not open the same Peanut Labs offer(s) on more than one site. You are allowed up to 3 completions and 15 attempts on PL surveys every 24 hours? (applicable to other sites with peanut labs too). Gift Hulk?- Gift Hulk is very similar to Swagbucks, but not quite as popular. Don’t be fooled, Gift Hulk has gained a lot of traction in the best GPT sites arena, and really has proven to be one of the best over the last few years. 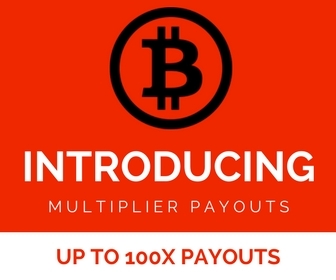 Where they excel here is that they offer bitcoin payouts! ?Use invite code?LD1142426 for a hulk coin bonus?upon registration! Payout: (1000 HC = $1) Abundance of giftcards including amazon, paypal, walmart, gamecard, facebook, and bitcoin. Tips:?Play the card-guessing game every day. You get 40 free guesses a day, with a variety of ways to win free hulk coins quickly and easily. I use this feature every time I log in, even if it’s just for a couple minutes, because theirs nothing easier than free money! Offers: Click, download, sign up, do tasks, shopping incentive, and watch videos for points. Referral Incentive: 10 points with complete sign up and 10% of most earnings of each referral. Tips: Get some easy points by doing the “visit websites” area everyday. Slice The Pie?-?Get paid for writing music reviews! To give forewarning most songs aren’t radio quality but there are some gems in there. Offer: Listen to at least 90?sec of a song and write a constructive review worth up to 25 cents. Referral Incentive: Percentage of earnings from each. Right now it’s 15%. Tips: Keep an eye out for when they have bonus days, otherwise it can be a little slow to make money. When reviewing songs try to use words like:?Beat, Rhythm, Lyrics, Melody, Harmony, Mastering, Commercial Potential, Needs Work, Good Job, Backbeat, Bass, Tempo. Otherwise you may receive a warning that your review was not specific enough. Offer:?Let videos continuously play on your phone or ipod touch for points. Every 1000 points is roughly $1. In the US, every 2 videos gets you 4 points. In Canada, every 4 videos gets you 4 points. In other countries, every 20 videos gets you 4 points. They also have a number of the most popular offer walls. Payout: A $2 amazon gift card is 2500 points and a $5 amazon gift card is 5000 points so every 1000 points is roughly $1. Referral Incentive:?500 point bonus for each user that signs up using your code. Tips: You can run videos on many devices under the same account, many users call this a Perk farm. The devices usually end up paying for themselves pretty quickly. Bing Rewards?- Earn rewards for using Bing to search! Referral Incentive: 200 credits each once they reach silver.